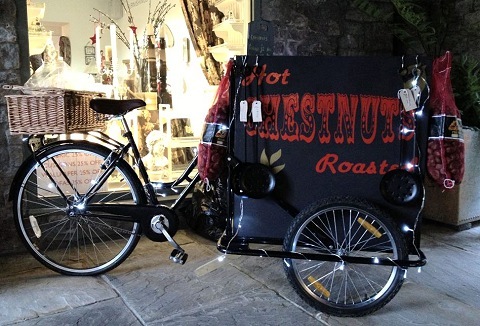 Whether you're organising the Christmas lights switch-on, a themed shopping centre experience or a wedding our traditional hot chestnut barrow will help set the scene and create a wonderful atmosphere. Our hot chestnut barrow from September until March. We can serve your visitors with hot roasted chestnuts and warm mulled wine from our traditional barrows. Ideal for festive events & weddings over the Christmas period. Any type of indoor or outdoor event. Fully trained uniformed (Victorian dressed) staff. What could be more typical of a traditional British winter than the smell of roasting chestnuts. Our custom built gas roaster tricycle is compact which means it can be wheeled almost anywhere. The perfect edition to any yuletide Christmas event tofayres. Move over Chicken, There's a New Poultry in Town - Duck! 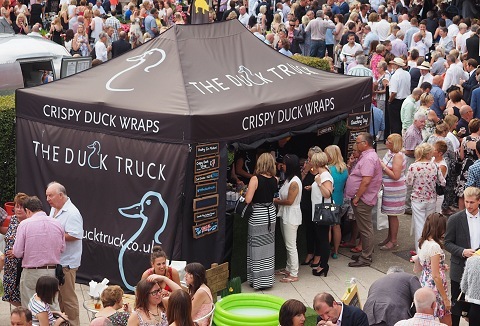 If you want to give your event a huge hit of flavour and make your event special by giving your guests a healthy and delicious treat; crispy aromatic duck then get in touch. We love to make events and functions a bit different and a lot more memorable. 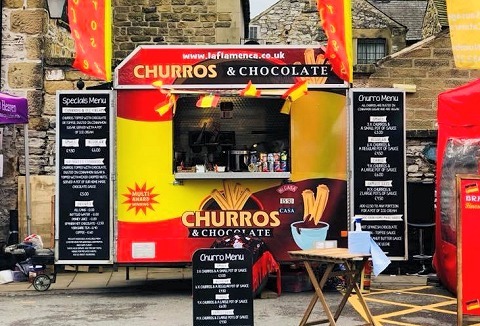 We cook traditional Churros, prepared in our gas open top fryer, to ensure that our churros are crispy, hot, delicious and dusted in sugar and cinnamon. We create our own thick, smooth and creamy Chocolate always served hot, perfect to dunk your churros.